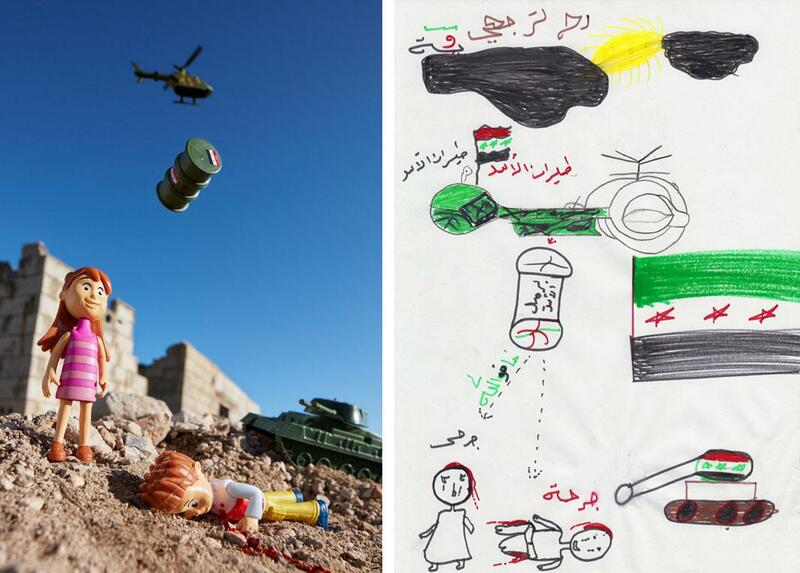 Brian McCarty recreates a child’s experience of war in his series, War-Toys. Brian McCarty makes a living photographing toys for high-profile clients such as Disney, Nickelodeon, and Cartoon Network. But in his own time, he makes photographs of toys that serve a vastly different and entirely noncommercial purpose. 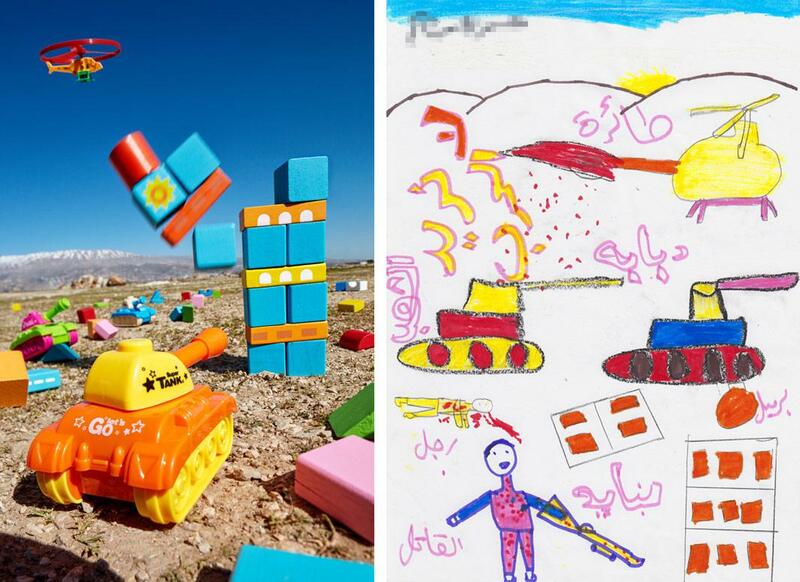 Since 2011, he’s been traveling to the Middle East to make photos that represent children’s views of war and displacement for his project War-Toys. He partners with NGOs to find adolescent participants and works with art therapist Myra Saad, who helps the kids make drawings about their memories and talk about them. 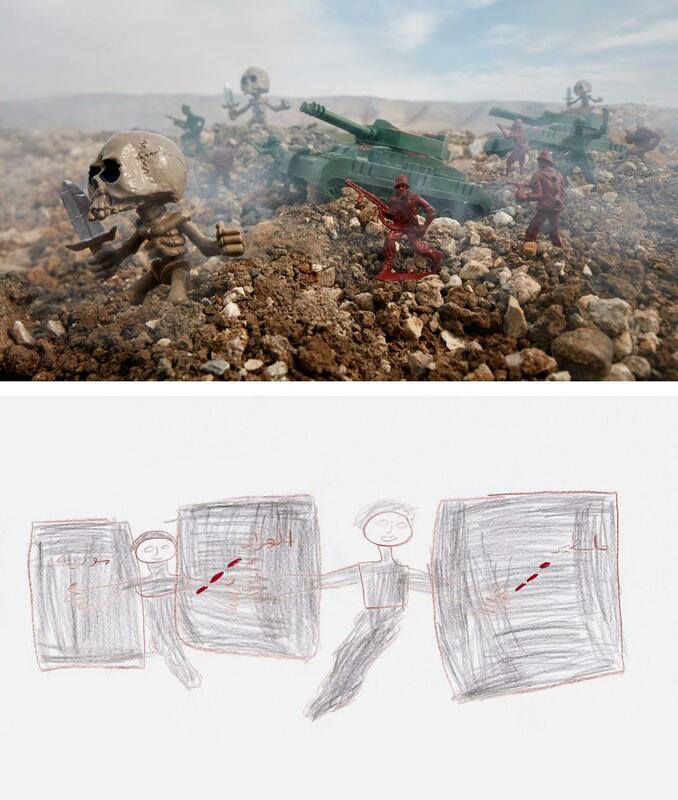 Then, using local toys in nearby environments, McCarty recreates the scenes and turns them into photographs. The scenes are often devastating. 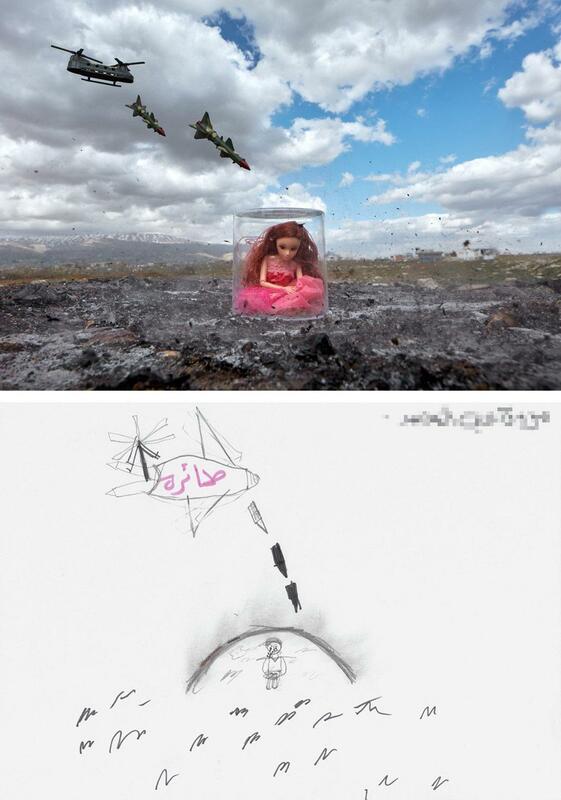 Missiles drop from the sky, people bleed on the ground, and tanks menace homes. But McCarty doesn’t intend for his work to weigh in on specific conflicts. 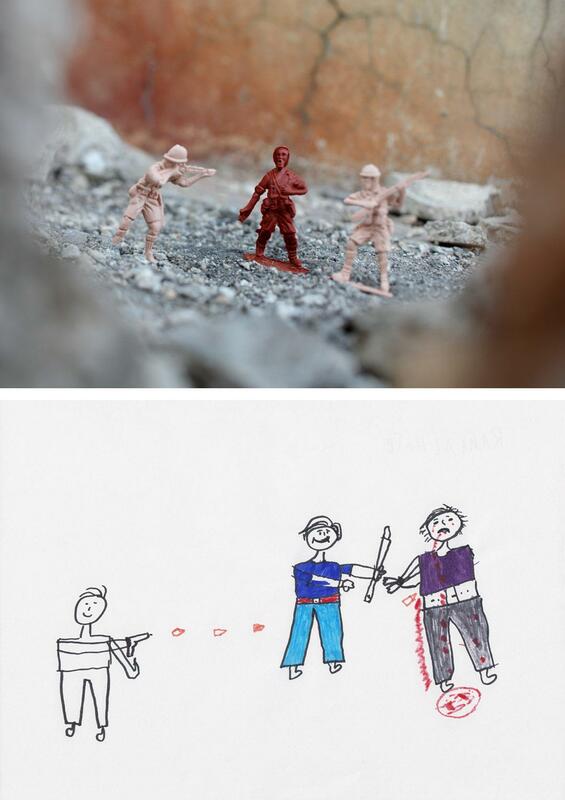 Instead, he hopes his images help focus attention on the ways violence impacts the world’s most innocent and vulnerable. “It’s hard not to get outraged at the things you experience and the things you see and want to affect change the way you can,” McCarty said. “The sessions all begin the same way. Myra does her thing—games, interactive stuff to get them invested, awake, alive, and emotionally present. Then she explains the project, explains who I am, what I’m doing, and lets them know it’s an opportunity for them to get their experiences heard,” he said. When it came time for drawing, McCarty said, Saad framed the exercise so that the girls could potentially choose to not illustrate their experience of war or even their own lives. In a couple instances, McCarty said, the images they produced were happy scenes unrelated to war. 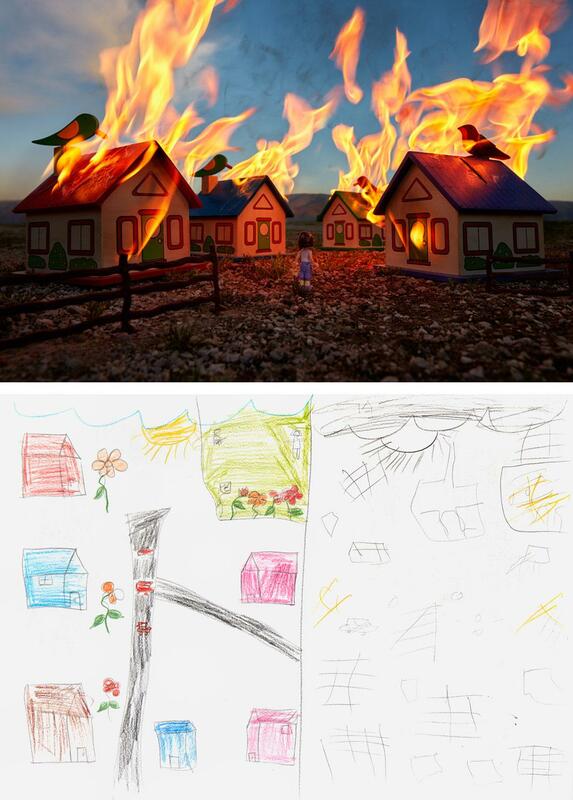 Some, in response to a specific prompt, represented the girls’ hopes for a peaceful future. Many depicted memories of destruction and chaos. “Nine times out of 10 they’ll share something with you that they want shown to the world,” he said. McCarty chose 17 drawings among the nearly 50 produced to translate into photographs for the project. 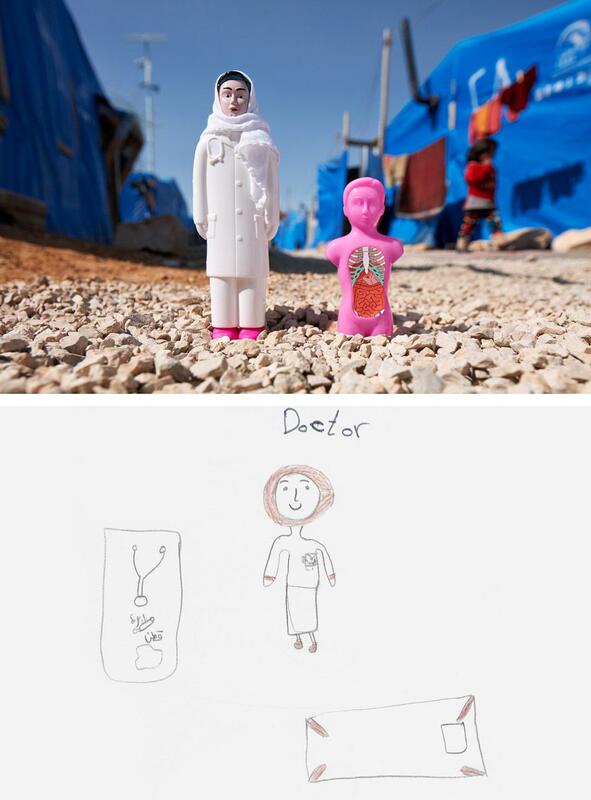 Often, he couldn’t be entirely sure what the drawings depicted, since neither he nor Saad could press for details. But in several cases, details such as barrel bombs and the ghosts of dead parents are impossible to miss. 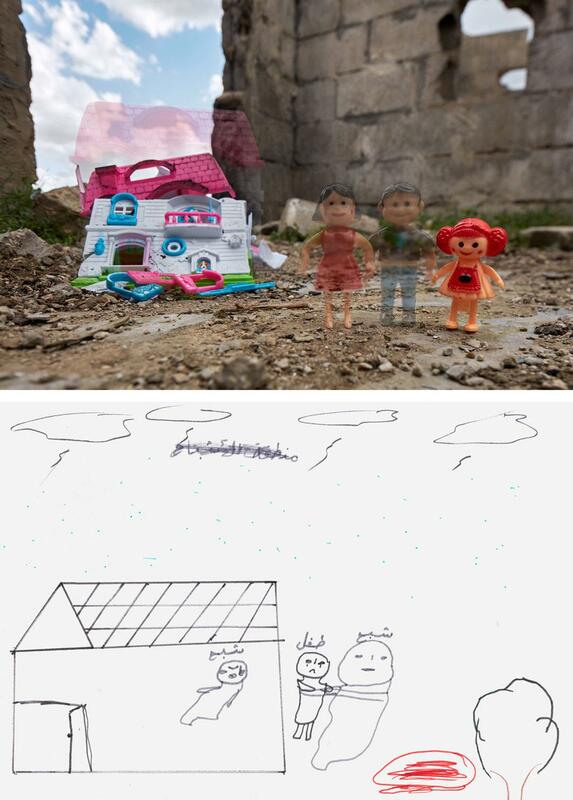 With toys purchased from a nearby shop, McCarty recreated these scenarios in the area surrounding the refugee camps. In a few photos, you can actually see Syria in the background. McCarty may not want for his images to get wrapped up in politics, but they did this past winter when he discovered that ISIS had stolen one of his photos and altered it for use in propaganda. “I’ve had a lot of time to reflect on it now. 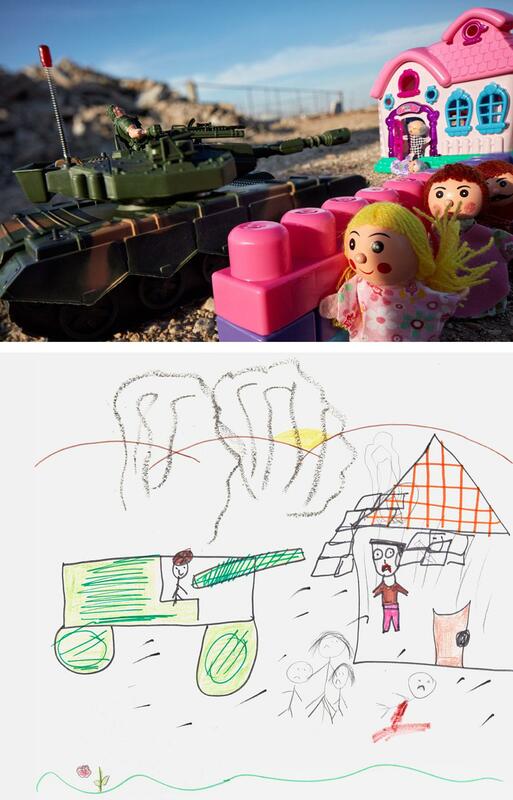 As angry and upsetting as it was it still is just a shade of what I feel traveling for ‘War-Toys,’ and the things I’ve seen through ‘War-Toys.’ It’s hard to be fully outraged compared to the things that are happening to these children on a daily basis,” he said. Dream of Being a Doctor. *Correction, July 11, 2016: This post originally misstated the number of groups McCarty and Saad worked with. They worked with three groups, not two.